The warm waves of the Caribbean Sea or the cool, clear waters of a pool, both options are perfect for cooling off under the bright tropical sun. Enjoy the infinity pool bar with beautiful views of the ocean or the lounge area on the sand to relax and read your favorite book while sipping your favorite cocktail. 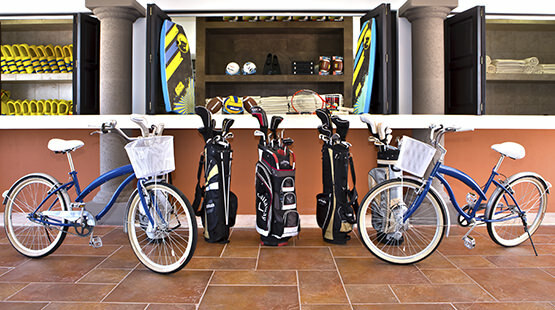 The Grand Residences Riviera Cancun resort offers a program of activities for the whole family. From water sports, beach activities, tennis, snorkeling, bike tour to our program of social activities such as Zumba, table tennis, music trivia, dance contests, bingo, dominoes, Spanish classes and more, we have activities for everyone’s taste and style. 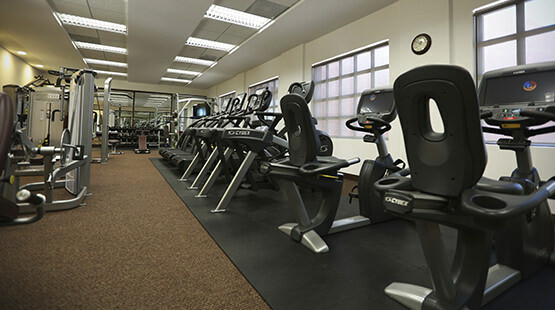 Continue your exercise routine even while on vacation in the fully equipped gym with the latest equipment. The onsite coach is available from 7 am to 11 pm on weekdays and Saturdays from 7 am to 3 pm. There is a tranquil sanctuary within the resort, specially designed for peace, harmony and your complete well-being. 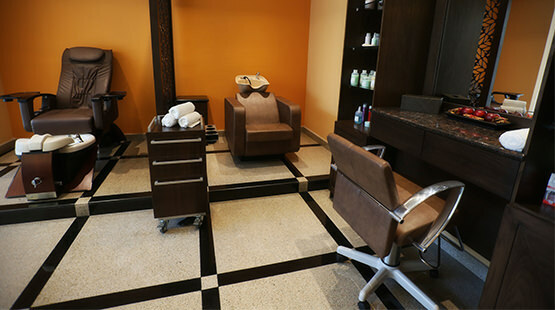 The Spa offers a variety of massages, facials and wraps for our special guests of Grand Residences to be pampered. Open Sunday through Friday from 8:00 am to 5:00 pm and Saturdays from 8:00 am to 4:00 pm. 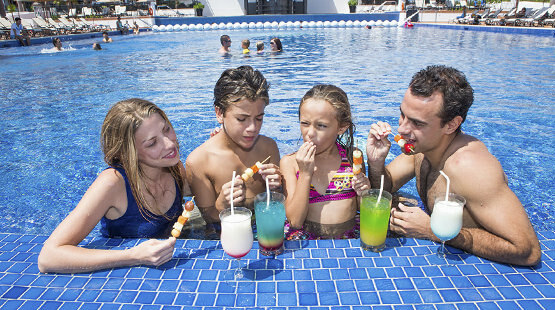 In Grand Residences Riviera Cancun we offer a fun activity program for all family members. We recommend you to check our weekly calendar to join us. Enjoy beach games, water sports, handcraft workshops and a lot more. Youngsters always have fun while they are near the beach and the sea. 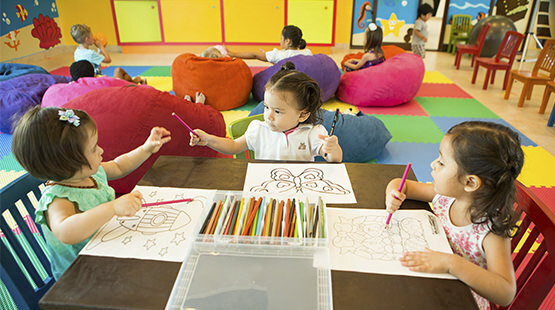 And as we know that they are unstoppable bundles of energy, our Kid's Club has designed a program of dynamic activities, card games, tournament football, afternoon movies, hockey tournaments, face painting, Mexican games, video games, competition Lego, sand drawings and so much more. 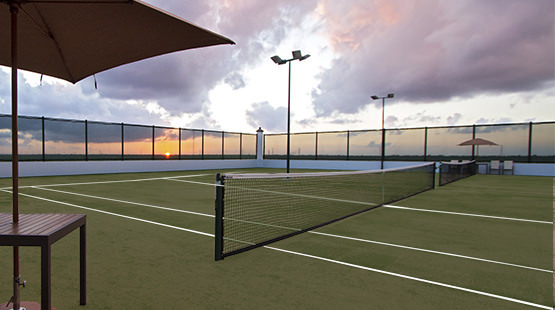 Aerobics, yoga, ping pong, handcraft workshop, zumba, and other activities are available for all our special guests in Grand Residences Riviera Cancun. You will always have something fun to do and enjoy in paradise with your beloved ones. 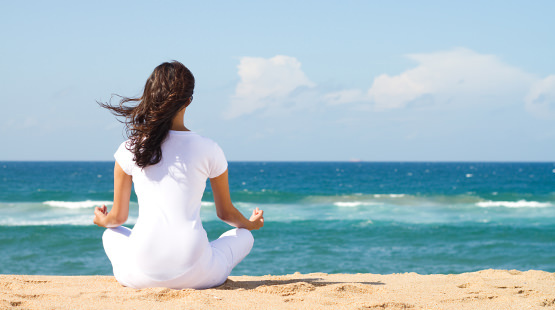 Does your dream vacation include a morning Yoga session by the peaceful Caribbean Sea? 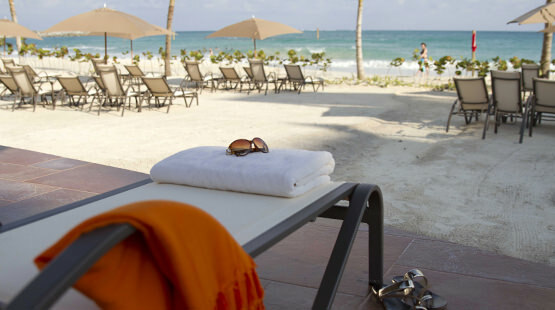 While staying at Grand Residences Riviera Cancun you will enjoy relaxing and rejuvenating inhaling-exhaling moments in perfectly harmonious natural environment. Take off your shoes and enjoy the calming presence of paradise washing over you.